Open Questions encourage a fuller answer as they cannot be answered by a simple yes or no. The advantages of Open question are that they supply a lot of information that can then be elaborated on during the remaining conversation. 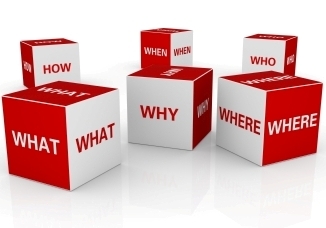 It is important to note that asking open questions can also lead to very long answers that provide a lot of information that is not relevant to the questioners needs. Closed questions elicit a yes or no answer. There advantage is that they help the questioner confirm a specific point while also maintaining control over the conversation. Expert questions are those that are asked when the interviewer knows the answer. They are especially useful in identifying imposters. For example, someone with a UK Passport that says they live in London should know how long it takes to get from the Airport to their home. If their answer is a long way from the reality, they should be questioned further as they could be an imposter using someone else’s passport. Leading questions should be avoided, as they may easily build a false good impression of the passenger, by inviting the passenger to give the answer the interviewer wants. Two or more questions posed in the same sentence will confuse the passenger; and can also confuse the interviewer, if an answer is given.